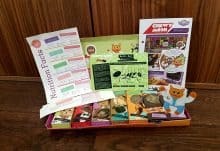 ChewyMoon is a subscription snack box for kids, comprising five all-natural snacks and a fun pack, delivered weekly for a price of £4.93 including delivery. ChewyMoon helps parents to easily provide hugely healthy, alternative snacks and guilt-free after school treats for growing kids. 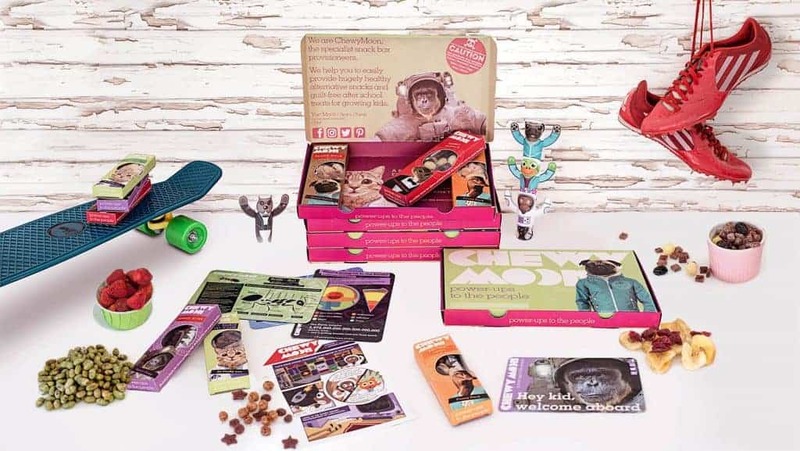 ChewyMoon is the UK’s first nutritionally-balanced snack box for kids, enabling parents to customise snack boxes according to their child’s taste, nutritional and dietary requirements. Every snack has a nutritional benefit (a ‘super power-up’). Nicely balanced snacks energise children, enabling them to participate in so much more of what life has to offer. WHY DO PARENTS LOVE CHEWYMOON? Kids’ snacks in the market currently do not address the needs of both parents and kids – trust and joy. Healthy snacks are rarely engaging and engaging snacks are rarely healthy. Engagement, comprising taste, mouth-feel and visual-appeal often wins, while health takes a backseat. ChewyMoon offers parents a radically different way of getting their children to eat healthy. The ChewyMoon snack box is designed to capture kids’ imaginations, creating a formative impact on kids’ eating habits for later life. WHY DO KIDS LOVE CHEWYMOON? 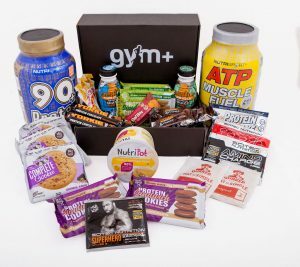 These weekly snack boxes aren’t just packed with nutritional goodies. The ChewyMoon universe is brought to life through stackable totem toys, brain-busting fact cards and cool comics, all delivered to the child by a bunch of creatures that kids love. They are quirky, odd, slightly rude and very energetic. The best marketers in the world are junk food and drink companies, preying on kids with cleverly packaged look and feel. Chewymoon has taken a leaf from their books, speaking about nutrition in a fun way that kids understand. Four friends, Verena, Laurence, Nick and Lijo started Chewymoon with the ambitious aim of changing the way children eat. Being parents, they care deeply about the nutrition and wellbeing of children. And they wish to make it really easy for all parents to give their kids healthy, nutritious and tasty snacks, while teaching them a thing or two about nutrition. Chewymoon was created to be your child’s first brand that makes learning about nutrition as much fun as eating the snack. How would you rate ChewyMoon ?